TL;DR: Don't call them, they'll call you —with an offer that includes financial compensation for licensing. 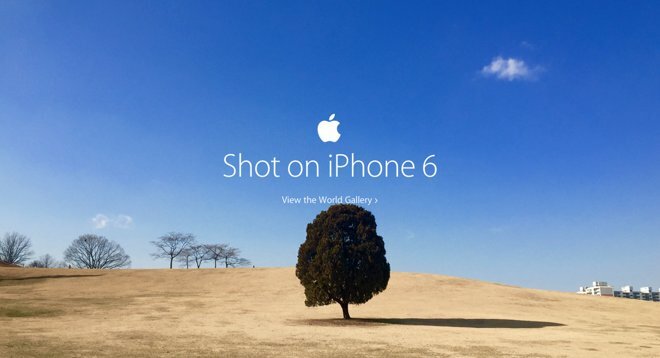 Reports from around the web suggest that Apple spots great photos from a number of sources. They almost certainly monitor Flickr's feed of images captured with iPhones— and likely other image sharing sites, like Google Photos, as well— but they've also been known to contact photographers directly after having found a picture on their portfolio site. "(Apple) contacted me about my photos of Yosemite before the reveal of OS X Yosemite," Reddit user LostConstruct wrote in one thread. "I was in talks with them for quite a bit but ultimately they didn't go with them. :( They contacted me through my website though and not through the social sites." Photographer Brandon O Se— whose black-and-white photo of people walking through Copenhagen's Superkilen Park is widely featured in Apple's "Shot on iPhone 6" campaign— said that he was contacted by an Apple representative after his shot became popular on Flickr. "Then out of the blue in December I got a Flickr mail from a person who had zero photos asking me to contact them about a research project. I ignored it. It was spam. But when the person sent the mail again urging me to be swift in response, I replied. Details were sketchy. There might be interest in my photo, would I be interested? Ehm...OK," he wrote. "Then to my amazement I saw the name Apple and I was definitely interested." According to O Se, the licensing process took around two months from start to finish. Apple compensated him for rights to the work, and even called to let him know in which cities his photo would be featured. It seems, then, that the best way to get your work featured by Apple is simply to keep taking great photos and sharing them with the world.